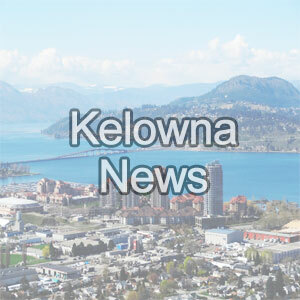 6 in hospital after crash – Kelowna NewsSix people have been taken to hospital with minor injuries after a bus flipped on Big White Road east of Kelowna, B.C. West Kelowna RCMP made sure to err on the side of caution after being called to a vacant lot in the Shannon Lake neighbourhood on Tuesday. Basran: family comes first – Kelowna NewsBusinesses and residents will gather on April 24 at UBCO to discuss the future of Central Okanagan transportation. Cars totalled by fire – Kelowna NewsFire crews responded to a four-car garage blaze in Kelownas Hall Road neighbourhood on Monday morning. Taylor Road house fire – Kelowna NewsFour people were left homeless, at least temporarily, after a Saturday evening blaze caused extensive damage at a Kelowna home. Total luck this weekend – Kelowna NewsThere were prayers and tears at the Kelowna Islamic Centre on Friday with the massacre in New Zealand fresh on the minds of worshipers. Police arrest alleged B.C. gang member in OkanaganA gang member wanted on a nationwide warrant was arrested Wednesday night in Kelowna, Vancouver Police say. Police return stolen dog – Kelowna NewsA dognapping is over in the Okanagan and an elated family has been reunited with their Golden Retriever, Atlas, thanks to RCMP.